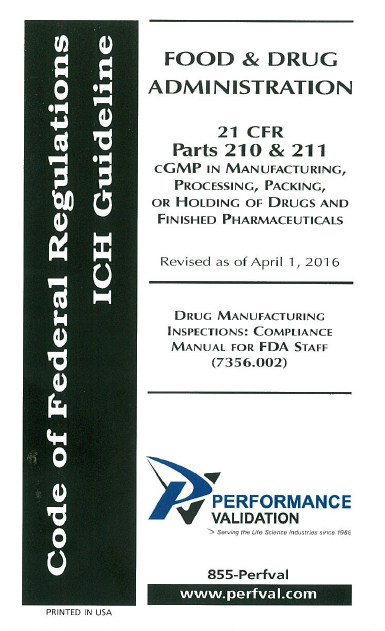 I have a limited number of FDA Guidebooks that contain the FDA regulations 21 CFR parts 210 and 211 cGMPs in Manufacturin g, Processing, Packing, or holding of drugs and finished pharmaceuticals AND the Drug Manufacturing Inspections: Compliance Manual for FDA Staff (7356.002) Drug inspections. This guidebook is available to you free of charge and all you need to do to obtain one is to request it via our Contact Us Page. If you cannot wait the FDA regulations 21 CFRF 211 are available here, the drug inspection guide is available here, and the sterile inspection guide is available here. Subparts B, E, F, G, I, J, and K.
compressed gases, steam and water systems. See the CGMP regulations, 21 CFR 211 Subparts B, C, D, and J. 21 CFR 211 Subparts B, F, and J.
and the stability program. 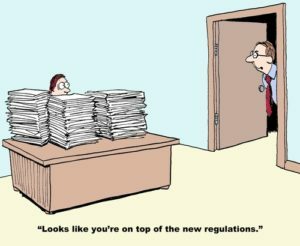 See the CGMP regulations, 21 CFR 211 Subparts B, I, J, and K.
For new facilities undergoing a first inspection, or facilities that have not consistenly demostrated compliance, – the FDA will implement a full inspection option where at least 4 of the 6 above systems would be inspection – One of which MUST BE THE QUALITY SYSTEM. You do not have to “go it alone”. Performance Validation has over 30 years of working with FDA regulated companies to help insure compliance with the qualification of manufacturing equipment and the validation of manufacturing processes. PV has assisted with and particiapted in FDA remediation following FDA inspections. Need help? Have a question? Not sure where to start? Contact PV.